Get weird, wild and wacky over a three-day weekend with this fun Austin itinerary. The whole family will keep busy with everything from outdoor adventures to kid-friendly attractions and lots of yummy eats in between. 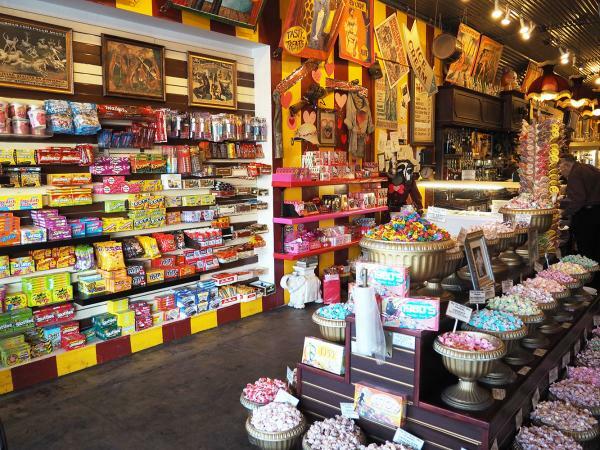 Big Top Candy Shop. Credit Jane Ko. Fuel up for the day with a filling breakfast taco at Fresa’s South First (the Lorenzo is egg whites with spinach, black beans, avocado and cheddar cheese rolled up in a corn tortilla). Then head over to the multilevel part-tree fort, part-modern sculpture Cathedral of Junk, which features a dense tangle of jungle-like foliage intertwined with an estimated 60 tons of unusual items and tchotchkes (call ahead for availability). If you’re looking to get wild, take the kiddos to the Austin Zoo to see more than 300 animals. Or make tracks to the Austin Nature & Science Center to explore nature trails, see small wildlife creatures and dig for “dinosaur fossils” in the Dino Pit! Just steps away is the Zilker Botanical Garden, where kids can run free. Take the family for a stroll down South Congress Avenue, where funky shops and bustling eateries create a lively vibe. Take a family picture at the famous I Love You So Much mural, and then grab lunch on the patio at casual hot spots like Hopdoddy Burger Bar, Home Slice Pizza or Güero’s Taco Bar. For dessert, let the kids pick out penny candies at the circus-themed Big Top Candy Shop, or head over to Amy’s Ice Creams to grab a scoop of candy bar-flavored ice cream (we’re talking Twix, Peanut M&Ms and much more). Once the sun goes down, seek out live music at one of the numerous summer concert series, including Shady Grove or Zilker Hillside Theater (check schedule for performances), to listen to some tunes beneath the night sky. For dinner, you can’t go wrong at one of the local food truck parks such as The Picnic (where after dinner you can treat the kids to dessert at Hey Cupcake! or Steel City Pops, known for its fruity frozen treats). Today, it’s all about the outdoor adventures. Go sightseeing by land and by water with Austin Duck Adventures, where you’ll ride an amphibious Hydra Terra vehicle around town — historic Sixth Street, the State Capitol and beyond — and then into Lake Austin. Or explore Austin on two wheels with a bicycle (and kids’ seat!) rental from Barton Springs Bike Rental, where they also offer guided tours. Take in some sunshine by spending the afternoon at one of Austin’s spring-fed swimming holes, such as Barton Springs Pool or Deep Eddy Pool — both located in the heart of the city. Hike or bike along the Barton Creek Greenbelt to reach Gus Fruh, a swimming hole (that can get deep after a good rain) that features the famed Urban Assault limestone rock wall that’s a favorite of climbers. Bring along a picnic of sandwiches from the flagship Whole Foods Market and baked goodies from Sugar Mama&apos;s Bakeshop. For an adventure on top of the water, go on a guided kayak or stand-up paddleboard tour of downtown Austin with Austin City Kayak Tours. Or let the kids try out the waves at NLand Surf Park (the only one of its kind in North America). Then, kick back and relax at Zilker Park — and be sure to take the little ones for a ride on the Zilker Zephyr miniature train. As daytime fades into dusk, don’t miss the nightly show at the “Bat Bridge,” where more than one million bats pour into the evening sky from beneath the Congress Avenue Bridge. This incredible spectacle starts around sunset between April and October. Cinnamon Pancakes. Courtesy of Kerbey Lane Cafe. 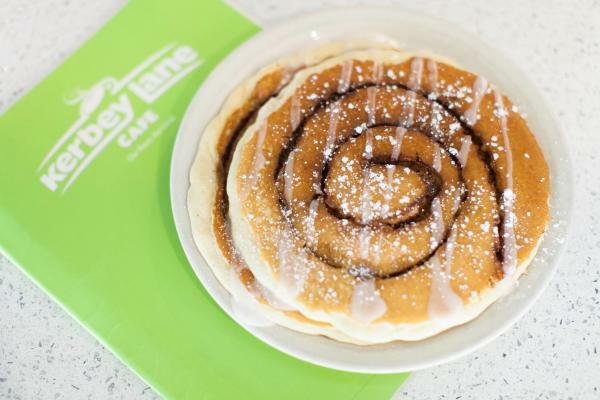 Begin the day with a plate of the special pancakes of the day at Kerbey Lane Cafe. Then, harness the cowboy spirit and giddyup over to nearby Texas Hill Country for a horseback ride around the ranch at Texas Trail Rides, where you’ll pass by picturesque spring-fed lakes, across Onion Creek and along wooded trails with your new horse friend. Take a hike up the stone steps to Mount Bonnell and get a panoramic view of the Austin area, including Lake Austin. Or give the kids a workout at the Austin Bouldering Project, the world’s largest bouldering gym, where they can safely climb to their hearts’ content. Afterward, venture over to the Mueller neighborhood, a new urban village just three miles east of downtown Austin where you’ll find a farmers market on Sunday mornings, an open-air retail district and plenty of places to grab a casual lunch, such as the Mueller Trailer Eats food truck park. Little ones will love the hands-on children’s museum, the Thinkery, where science, technology, engineering, arts and math exhibits get kids learning and laughing. You can’t leave Austin without experiencing some of its beloved barbecue joints, so hit up a favorite locals’ spot, such as Stubb’s Bar-B-Q (known for its rousing Sunday Gospel Brunch), the County Line or Uncle Billy&apos;s to end your trip on a delicious note.